BOCA RATON, FL (July 3, 2012)–To celebrate Henrietta, Countess de Hoernle’s immense, selfless contributions to the community, the Order of St. John of Jerusalem, Knights Hospitaller Commandery of Florida invites the community-at-large to join together in honoring The Countess in several ways on her 100th Birthday, Monday, September 24, 2012. Festivities include a formal gala celebration presented by the Order of St. John to benefit local charities, a communitywide “Red, White & Boca-Blue” Countess Appreciation Day and the presentation of what is planned to be a record-breaking birthday card. Managing her charitable work from her home since 1981 without any staff, the Countess de Hoernle has selflessly given away more than $40 million of her personal funds to local Boca Raton charities while serving on 16 boards of directors each year, for more than 30 different charities in her lifetime. Serving as an indelible and inspiring role model of philanthropy with wisdom and grace, there are more than 40 buildings named in her honor in Boca Raton alone, out of the more than 50 in total throughout Palm Beach County and New York. To celebrate in royal style at the “Our Legend, Her Legacy” themed benefit gala that begins with cocktails at 6:00 p.m. at Boca West Country Club, more than 700 dignitaries and community, business, and nonprofit leaders will don black or white tie, military or Scottish equivalent, tiaras, regalia, and decorations for dinner, dancing, and reminiscing, a video retrospective and presentation of a gigantic birthday card signed by thousands from the community she has long supported. Throughout the day on her birthday September 24th, the community is encouraged to pay visual tribute to the Countess for her patriotism for the United States, her “country by choice”, by wearing red, white, and blue and wrapping trees with red, white, and blue ribbons. In preparation for the gala event, the public-at-large is invited and encouraged to come out this summer to sign birthday card panels (available from mid-July to early-September) that will be on display at convenient locations throughout the community. The panels will then be merged as one card for its debut at the gala event celebration. Details will soon be announced about where and how residents, nonprofits, schools, companies, and City and County officials and staff can participate in what is expected to be a heart-warming, record-breaking initiative. Born Henrietta Rach in Karlsruhe, Germany on September 24, 1912, she immigrated to the U.S. at age 18 aboard the S.S. Pennland in 1931 to live with her grandparents in Jackson Heights in Queens, NY and became an “American by choice”. After being twice widowed (her second husband Jeff Gass served in the U.S. Army during World War II and was later put in charge of all the documents for the Nuremburg trials), she married engineer and entrepreneur Adolph, Count de Hoernle (who immigrated to the U.S. in 1926) in 1950 and whose family fortune was created as owner of the Stewart Stamping Corp., Bronxville, NY, a manufacturer of stamped metal products. She has two daughters and nine grandchildren. 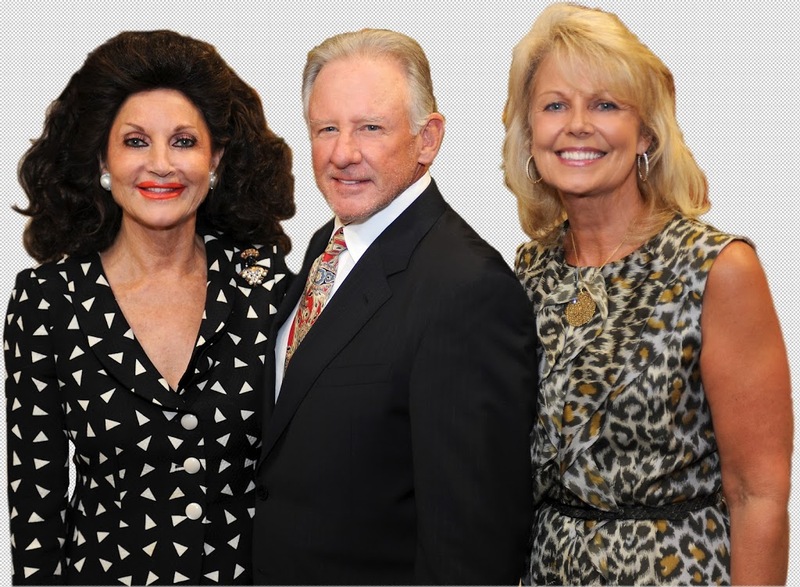 Following the sale of Stewart Stamping in New York in 1965 and considerable world travel (including 20 world cruises) and many visits to the area, the couple retired to Boca Raton in 1981—convinced that Boca Raton was, indeed, the “Jewel of The Gold Coast”. Renewed commitment to her charitable work became their “new” life in Florida. The Order of St. John of Jerusalem, Knights Hospitaller, under Royal Charter and Constitution granted by His Late Majesty King Peter II of Yugoslavia, is one of the oldest orders of chivalry in existence and has raised funds to benefit the sick and the poor of the world since 1048 A.D. The Countess is its patroness and holder of the Order’s Grand Cross of Justice and Medal of Merit. 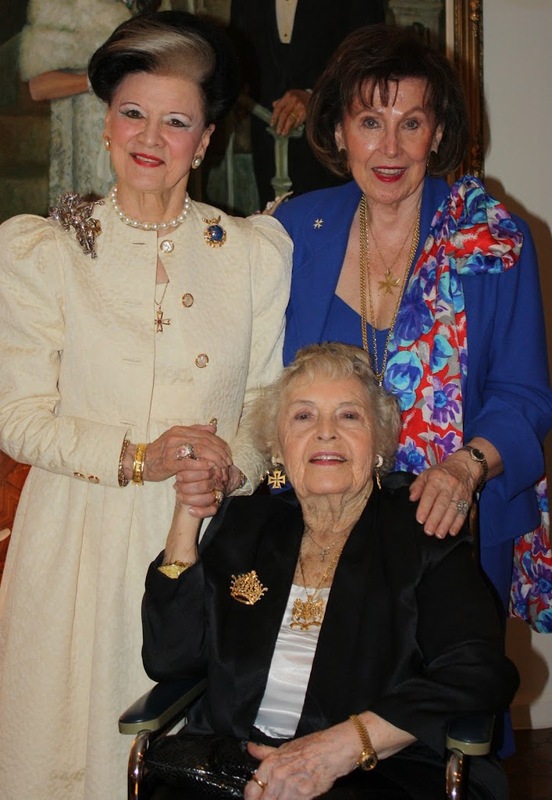 The gala on the occasion of her 100th birthday is organized by the OSJ Commandery of Florida, a not-for-profit charitable 501(c)(3), tax-exempt organization. 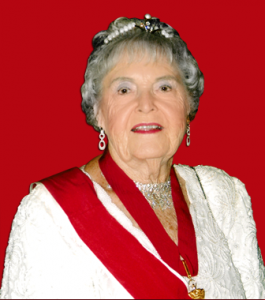 Countess de Hoernle’s regalia, degrees, awards, plaques, shields and commemorative photographs are currently on permanent display curated by the Boca Raton Historical Society at the Spanish River Library in Boca Raton. To learn more about the Countess, the gala, sponsorships, and tickets, as well as updates and how to participate in the “Red, White & Boca-Blue Countess Appreciation Day” festivities, visit www.countess100.org; “Friend” and “Like” Countess on Facebook (www.facebook.com/countess100), or call Gala Chair Isabelle K. Paul (561) 391-3424.